Do you like my new socks? Aren't they a vision of beauty? Self-striping yarn fascinates me. It's too clever. They're not just aesthetically pleasing, the yarn (Bluefaced Leicester) is lovely against your skin and keeps your pinkies toasty warm. It's name, Mind The Gap, is pure genius and was apparently inspired by the London Underground. You can find out more about it here on Ravelry. It comes to something when your children see you lying on your bed in your pyjamas with your bottom propped up on a pillow and legs akimbo, trying to take a photograph, and don't even bat an eyelid! Lovely colours! I wish I could knit but I just can't get the hang of it. 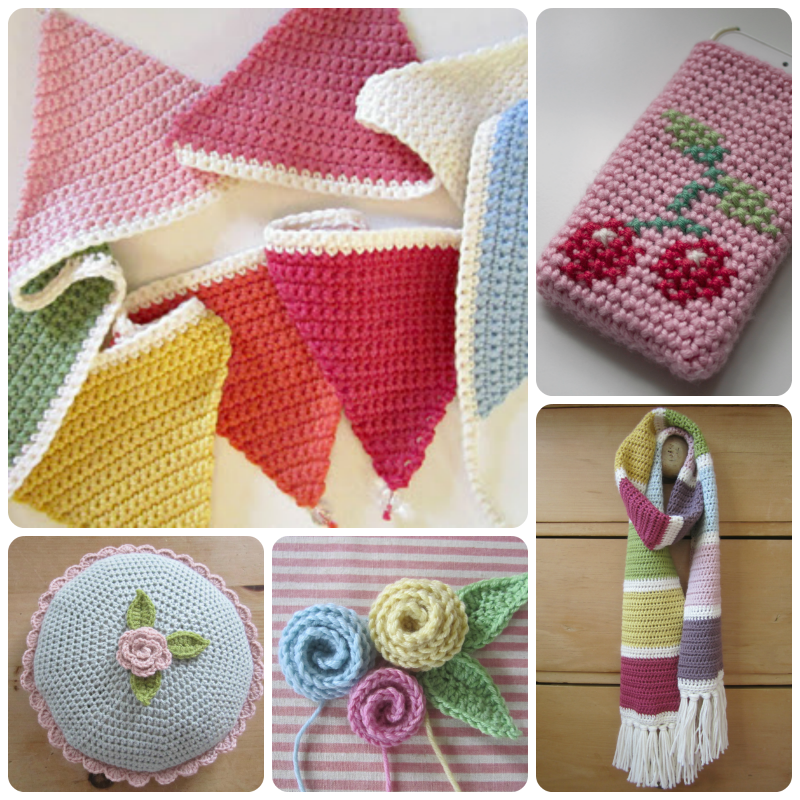 I've got a theory that you can be either a knitter or a crocheter - but not both! They are fantastic, that Ali is so so clever! 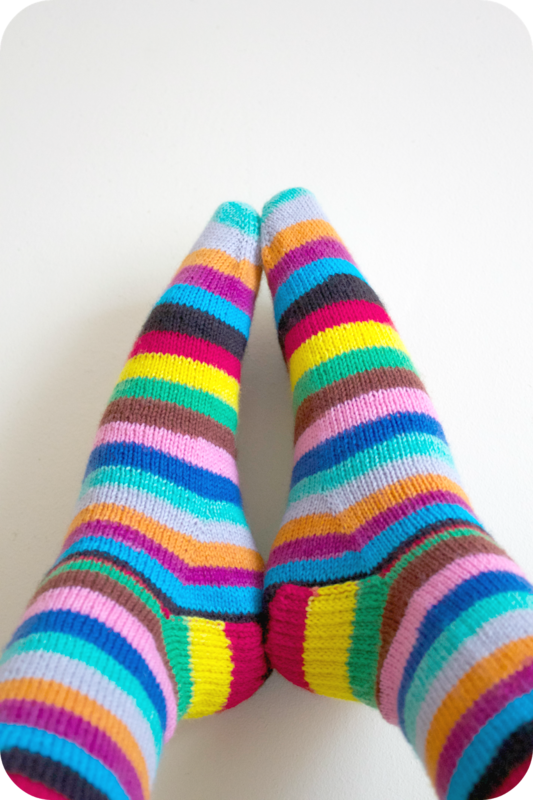 Because of her knitting these socks on IG I've been stalking the website of this stripy yarn lady to get a skein!!! My children no longer bat an eyelid to my photographing mad things! My oh my, those are some pretty fancy socks. How lovely of Ali to make them for you. 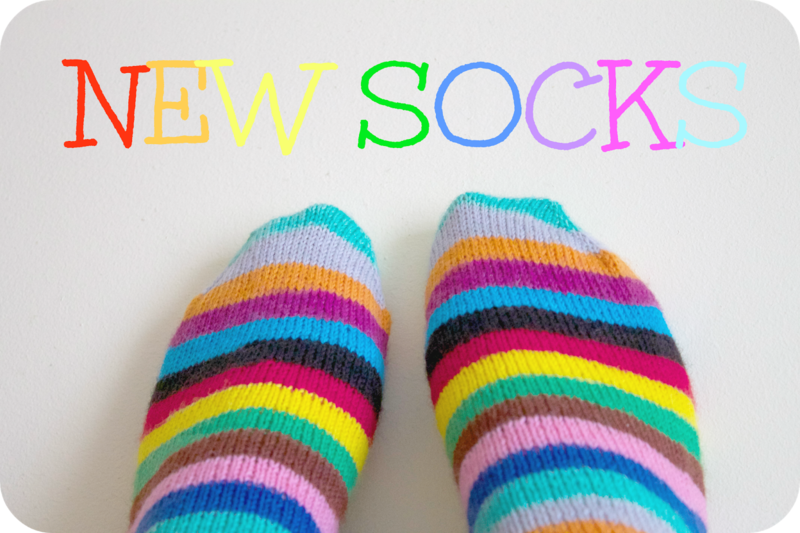 I'd love to knit socks, it's one of my goals, but the whole load of pointy needle thingy scares me! One day. I have some crochet sock patterns which are alright I suppose, but that's where knitting comes into its own. Di~Vine! 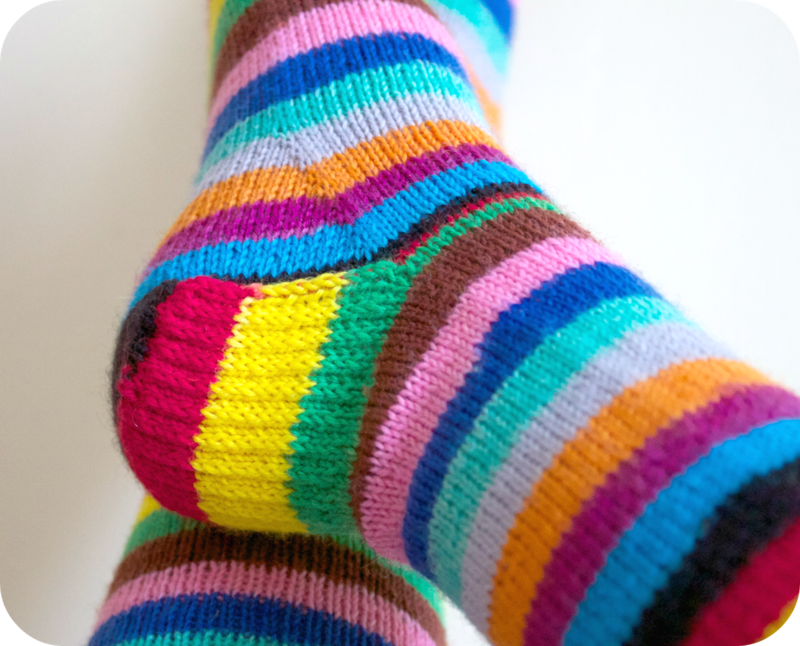 they are so gorgeous and I know what you mean about self~striping yarn. Your socks are completely gorgeous! So cheery...wear them with pride...with sandals or not! Such gorgeous socks! And I love your photos very much too, Heather! They are a thing of beauty! 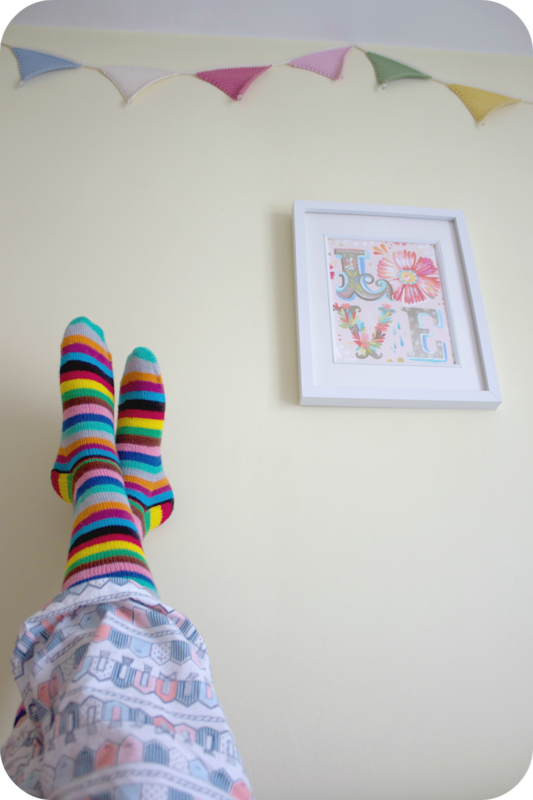 So cheerful, how could anyone feel sad wearing those Happy Socks! I can't work out the stripes fall in the right place with that stripy yarn? Does my head in as I'm no knitter! 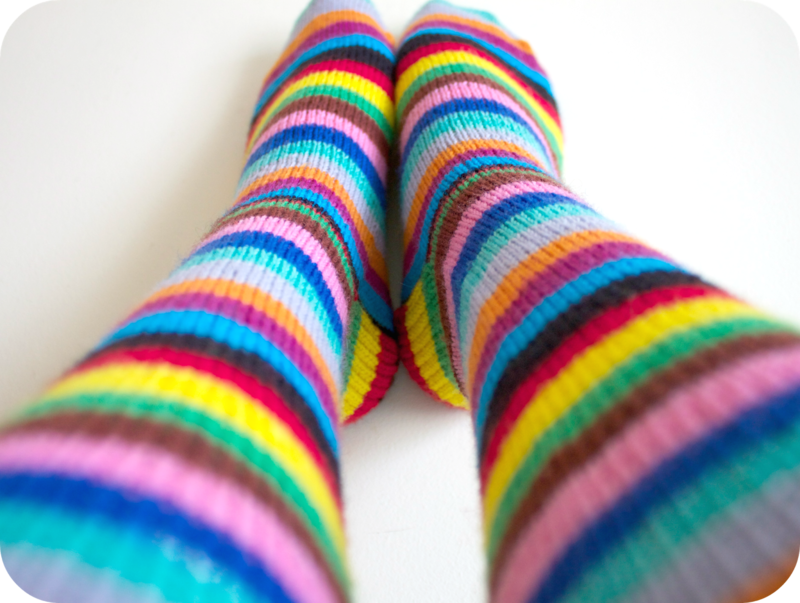 Love those gorgeous happy socks!! You'll need them on this chilly soggy day....in Spring! I've got fluffy pink ones on.....sadly not homemade, like Vanessa I'm scared by more than two pointy needles at once! 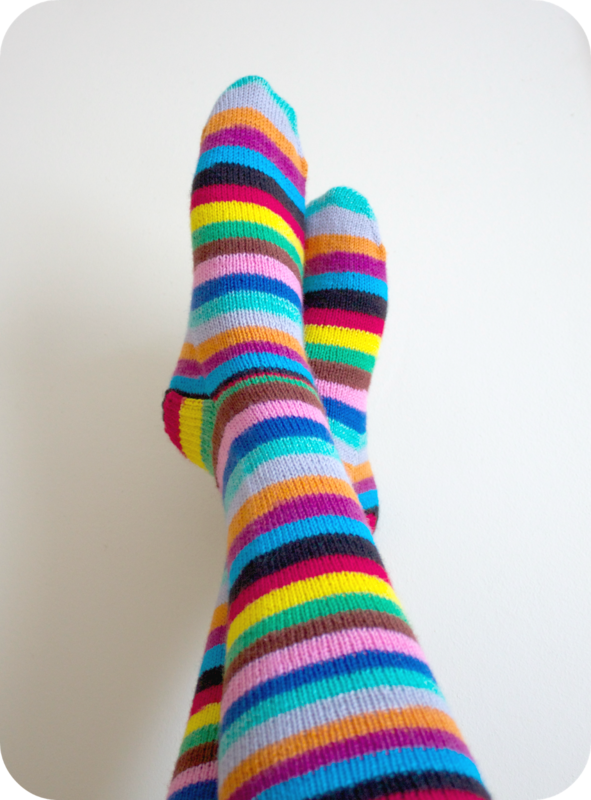 Gosh I have some major sock envy going on, those are completely fabulous. Now you know what you need, don't you? Genius Lucy! The see-through glittery ones - now I LOVE those! It's gorgeous yarn isn't it! I've been thinking for ages that I'd like to track some down. And how wonderful to have a friend who knits so beautifully. I'd be wearing them out if it were me, why not?! Wow! 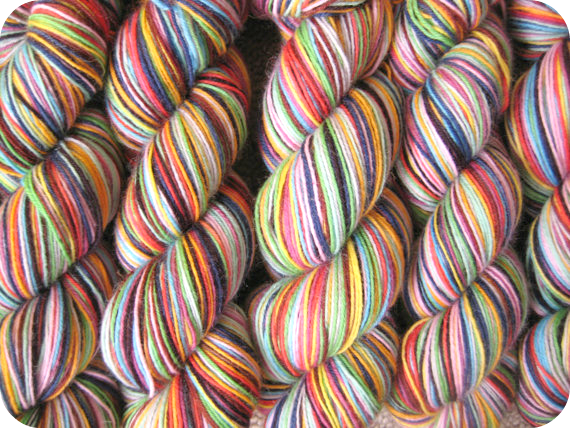 Is that really self striping yarn ??? Miraculous! Aside from the fact that I love those socks, I now must buy that yarn just for the sheer impressiveness of it!